Joining the show during the second hour is author and corporate trainer, David Hiatt. David will be discussing his book, From the Board Room to the Living Room: Communicate with Skill for Positive Outcomes. The bedrock of strong interpersonal relationships is trust, but too often the signals sent through verbal and nonverbal communications act to undermine that sentiment. In From the Board Room to the Living Room, communications expert David Hiatt shows how powerful techniques can be used to improve personal communication skills with family, friends, coworkers, and customers to achieve more positive outcomes. With more than two decades coaching clients for Sandler Training, Hiatt will discuss tools and techniques that will allow you to hone effective and efficient communication skills. “I have tried to capture the communication concepts, strategies, and tactics that help in the world of business but also allow for conversations at home and in the workplace to flow smoothly,” Hiatt says. Silence can also be an effective tool when used appropriately. Hiatt will talk about SILENCE as a mnemonic device and how it can become an effective communication choice. Listen in and find out how to apply the tools in From the Board Room to the Living Room to help you experience better communication with others and how to build better relationships in your personal and professional life. With over 27 years of sales and training experience, David Hiatt brings a strong background to Sandler Training. 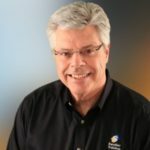 After 10 years of owning and operating a successful Sandler Training center, he was recruited by Sandler corporate to handle the bulk of national and international training through the Global Accounts division. With a BA and Masters in Communications, he is a passionate and energetic program leader who is truly concerned with helping others grow, develop, and communicate.